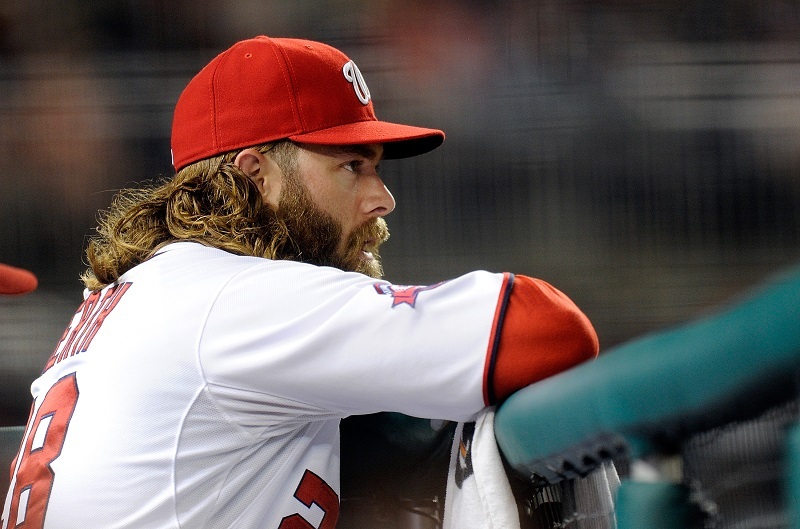 The 2015 season is not yet lost for the Washington Nationals. Despite the sub-.500 record (58-59), the four-game advantage the Mets hold over them, and every one of their players trending in the wrong direction, a few weeks of quality baseball would put them in a good playoff position. The trouble is the Nats no longer seem capable of such a run. For a team built on a can’t-miss rotation and one of the game’s true superstars, Washington’s performance has been as unpredictable as unnerving for fans and management. As is often typical for clubs that fall well short of expectations, the source of the problem is tough to pin down. There is no single thing afflicting the Nationals, but rather several problems contributing to the club’s poor performance. Here are five reasons Washington has flopped so badly this season. 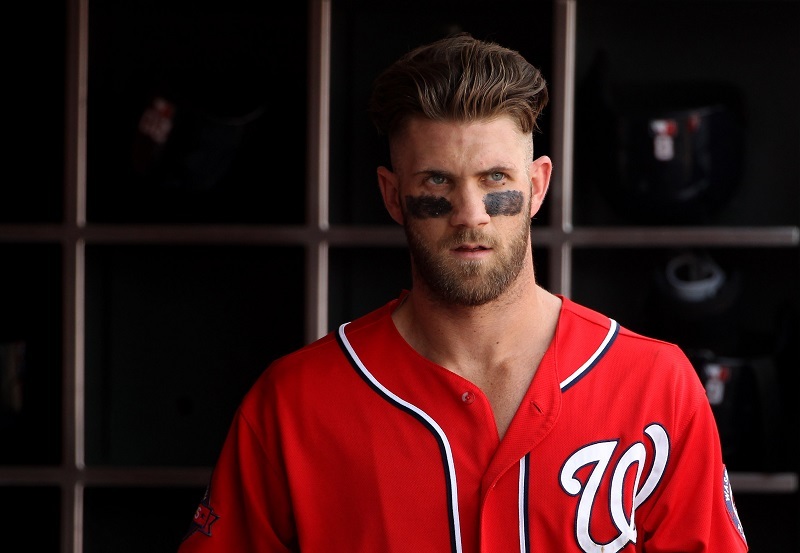 Even with the intimidating Bryce Harper (.328 BA, 30 HR) hitting third, the Nationals offense has been a weak spot all season. Whether you want to look at batting average (.247, 24th in MLB), on-base plus slugging (.703, 19th), or runs (479, 17th), the Nats are at best a below-average team. Since the All-Star break, it’s gotten worse, as the team’s MLB-worst .222 BA and .652 OPS (28th) illustrate. While Washington’s rotation could be expected to carry some of this burden, no team can survive putting so few runs on the board. 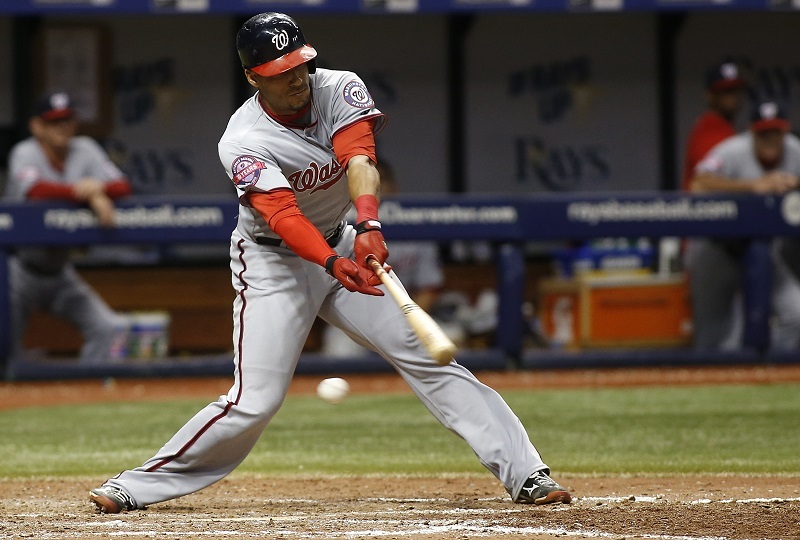 You can blame injuries for some of the anemic production, but the severe drop-offs of players like Ian Desmond and Wilson Ramos have left the team offensively neutered. 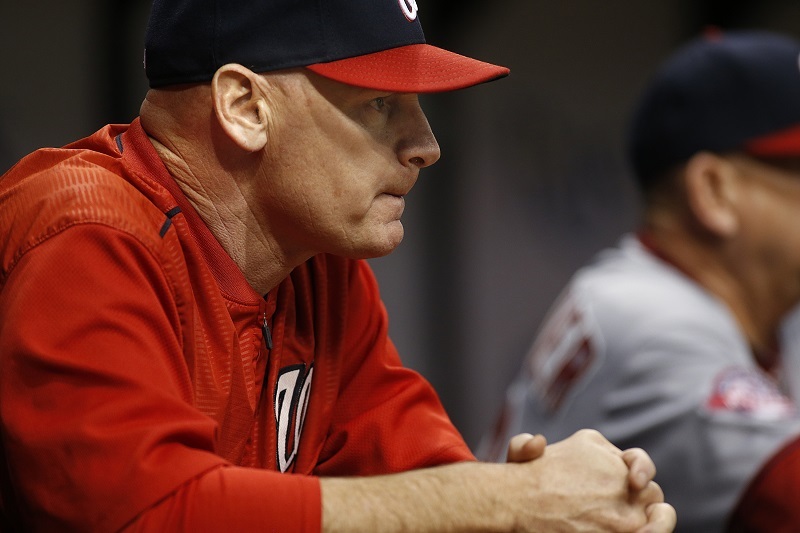 Manager Matt Williams has built up a loyal base of critics since the team’s abrupt fall from grace last postseason, with most complaints coming from his handling of the pitching staff. Many argue bullpen management is the true test of an MLB skipper, and Williams has yet to prove he is capable in this regard. Williams has also made numerous bad choices when it comes to the lineup,at times sitting capable hitters when injured veterans return. You have to question the front office’s performance as well. The club’s lack of depth was quickly exposed once injuries hit, and the bullpen has been inconsistent all season. Adding Jonathan Papelbon as closer, the biggest upgrade the team made, was a questionable move considering the lack of strong middle-inning arms and effect on team morale. 3. The rotation isn’t stellar. At 10th in MLB with a 3.83 ERA on the season, the Nationals have a good but not stellar starting rotation. (Since the break, its 4.43 ERA is 24th in baseball.) 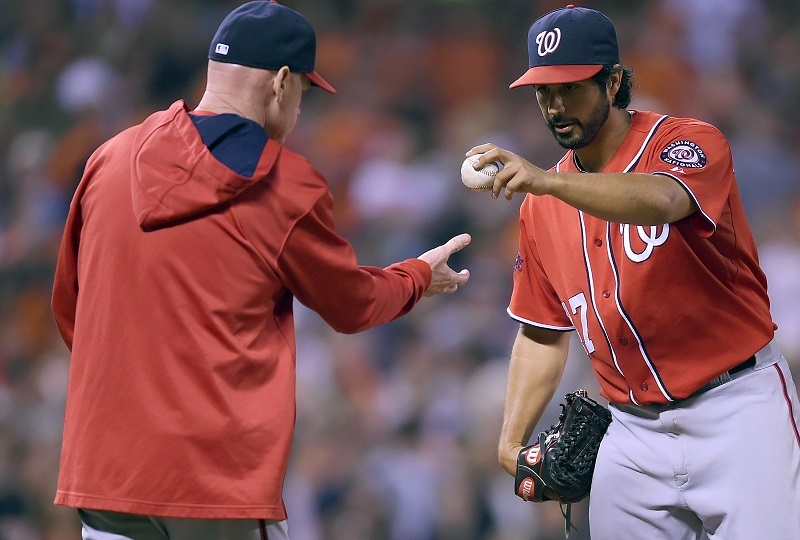 You would never expect such results from Max Scherzer, Gio Gonzalez, Jordan Zimmermann, Stephen Strasburg, and Doug Fister, but baseball games aren’t played on paper. The decline of Strasburg may be the most unnerving thing about the Nationals rotation this season, but the beatings taken by Fister and inconsistency of Gonzalez are close. Add it up and you have a slightly above average pitching staff. It’s good, but it’s nothing like the rotation of the Cardinals, Mets, or Pirates. Those teams lean on their starters and do so at a much lower cost. Who are the Nationals’ veterans that you expect to calm the team and quietly lead when times are tough? On a young team, the only ones you’d expect to fill that role — Ryan Zimmerman, Jayson Werth — are playing too poorly to get a clubhouse listening. Otherwise, you have Bryce Harper are your de facto leader, which feels ridiculous to type, let along believe. The pitching staff, Washington’s strength in so many regards, has a much more defined veteran presence. But struggles on offense and defense by position players have lingered longer than is normal for winning teams. You have to blame a lack of leadership on some level for that. Most players who say clubhouse chemistry doesn’t matter have never played in toxic environments or been teammates of Hanley Ramirez and Jonathan Papelbon. Though no one would admit it in public, Washington’s clubhouse culture has seen better days since Papelbon arrived and bumped Drew Storen from closer into a supporting role. Maybe culture is too vague a concept, though. Let’s just look at Storen’s performance since he stopped being the team’s closer. 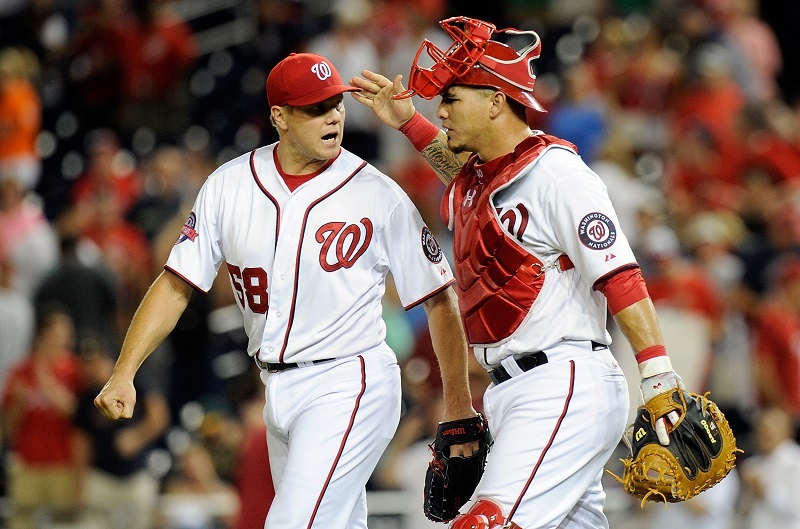 In seven games since the start of August, Storen has a 13.50 ERA, one blown save and two losses. He’s been a disaster and, whether Papelbon’s arrival mattered or not, messing with the bullpen in this regard will get players thinking. And they’ll have Papelbon, someone who isn’t even popular on winning teams, sitting there to help them think. There is time left for Washington to correct this slide, but the team will have to get it done with its current roster. Unless we see a turnaround in these areas, the team will be one of the biggest flops in recent memory. Statistics, current as of August 18, were sourced at Baseball Reference.